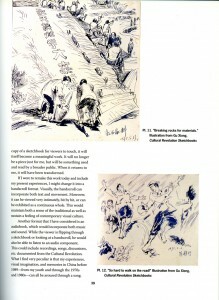 The catalogue to accompany the two-part exhibition 'Shu: Reinventing Books in Contemporary Chinese Art', (2006). 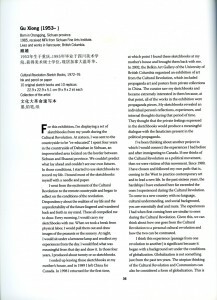 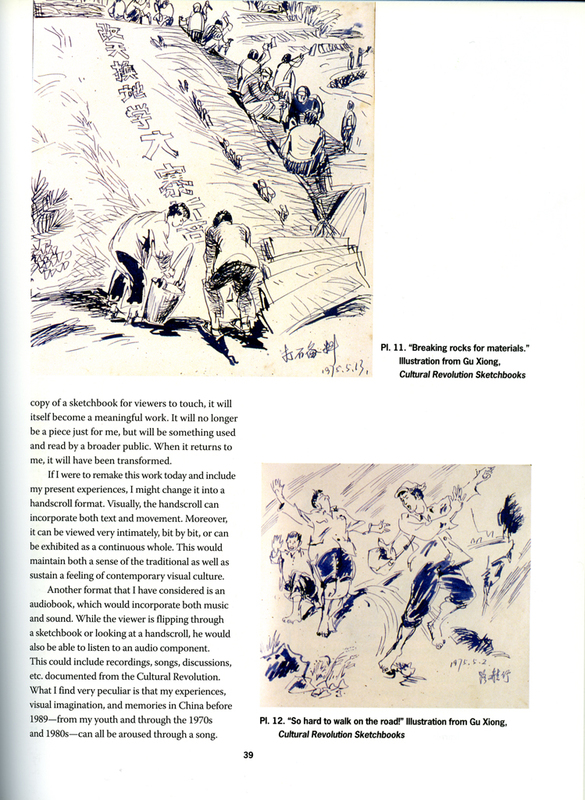 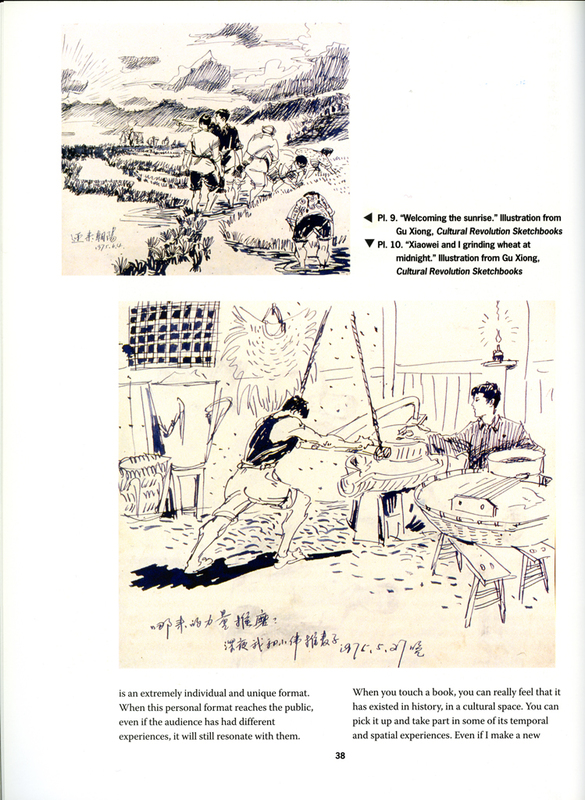 Gu Xiong took part in this exhibition and his art works are featured in the exhibition’s catalogue. 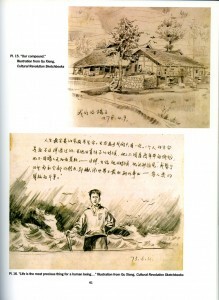 His art works are published on pages 36-41. 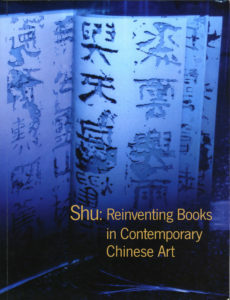 This catalogue was published to accompany the two-part exhibition ‘Shu: Reinventing Books in Contemporary Chinese Art’, held at China Institute Gallery, New York in 2006 and 2007. 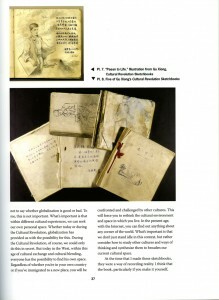 The individual artists in this exhibition have used the book, both as subject and as medium, to express their concerns, confusion, aspirations, disappointments, and their visions. 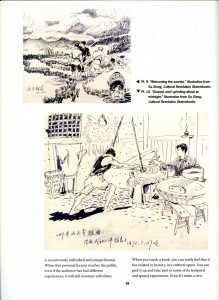 Each of them, in their own way, invested this ancient Chinese cultural icon with contemporary concepts and sensibilities. 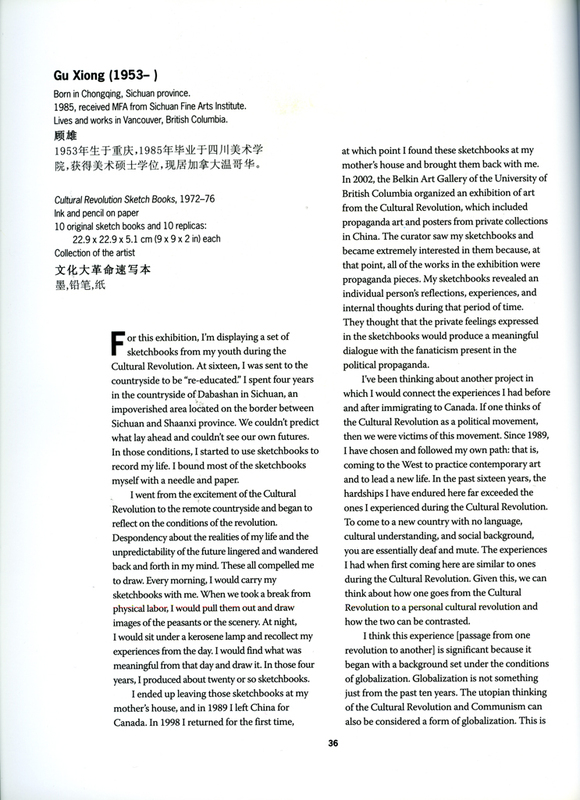 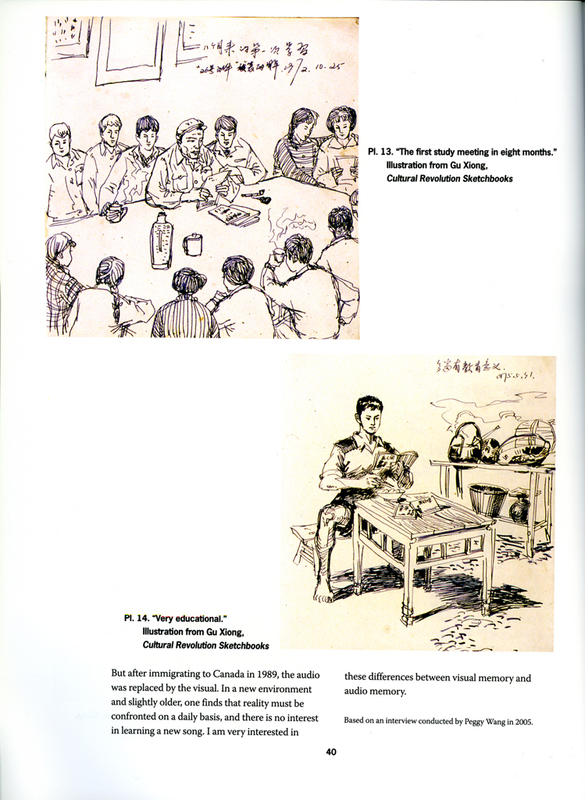 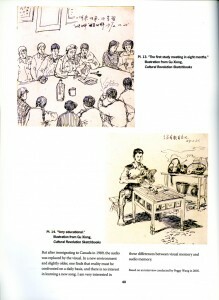 The catalogue includes essay by Wu Hung, artist biographies and artist statements.